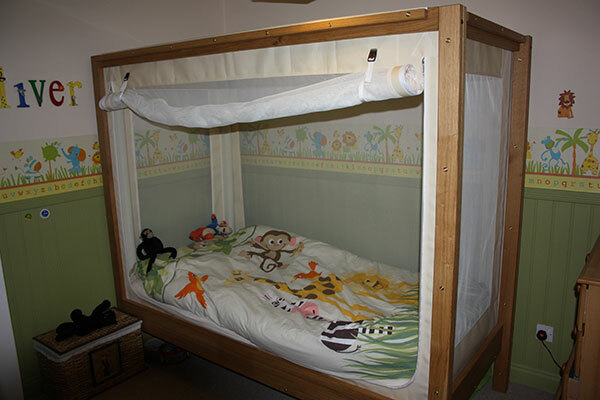 This is Oliver’s bed and we have an exact copy that we have used to get our bed tested and to market, the bed is in perfect condition, it has all the safety certificates EXCEPT we have now changed the mesh and canvas to flame retardant. It comes with 12 months warranty and is delivered and installed. Our son has been in his bed for 5 years and it still looks like brand new.